Come experience York County through craft brews that make up the fabric of our communities. 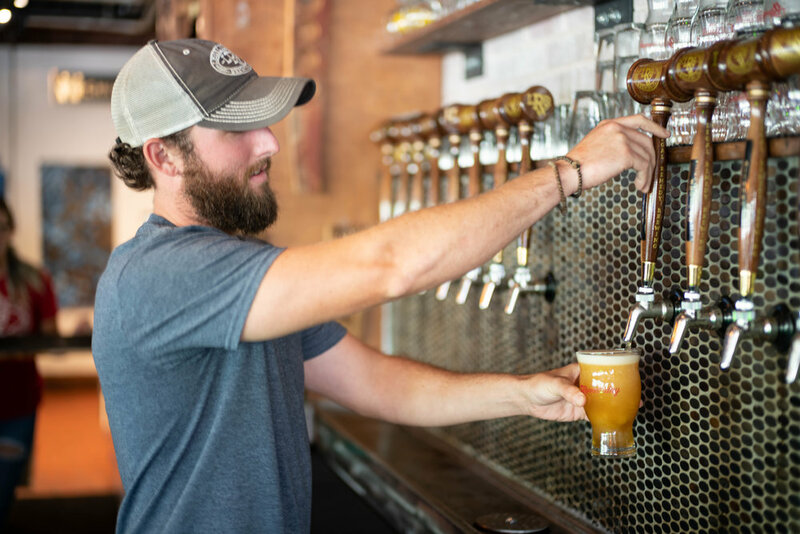 From a beer that serves as the legal cornerstone of Rock Hill to a cider that transports you outside these city streets, there’s a taste here for everyone. Just download the Visit York County app to get your passport right at your fingertips. If you check-in at 5 breweries, you’ll even get an exclusive t-shirt at the Visitors Center in Downtown Rock Hill. What are you waiting for? Join us on the YoCo Brew Trail Today. Located in the quaint heart of Fort Mill, you can people watch while enjoying a beer that packs a punch. These brothers-turned-bar-owners love craft beer, literally. Their name in Latin means “Love Craft.” These beers match the community that surrounds them. Sit down at the bar to watch the game or chill out back with the Cibi Cibi food truck. You can’t go wrong. New on the block but making a big splash, Dust Off just opened in a big way. 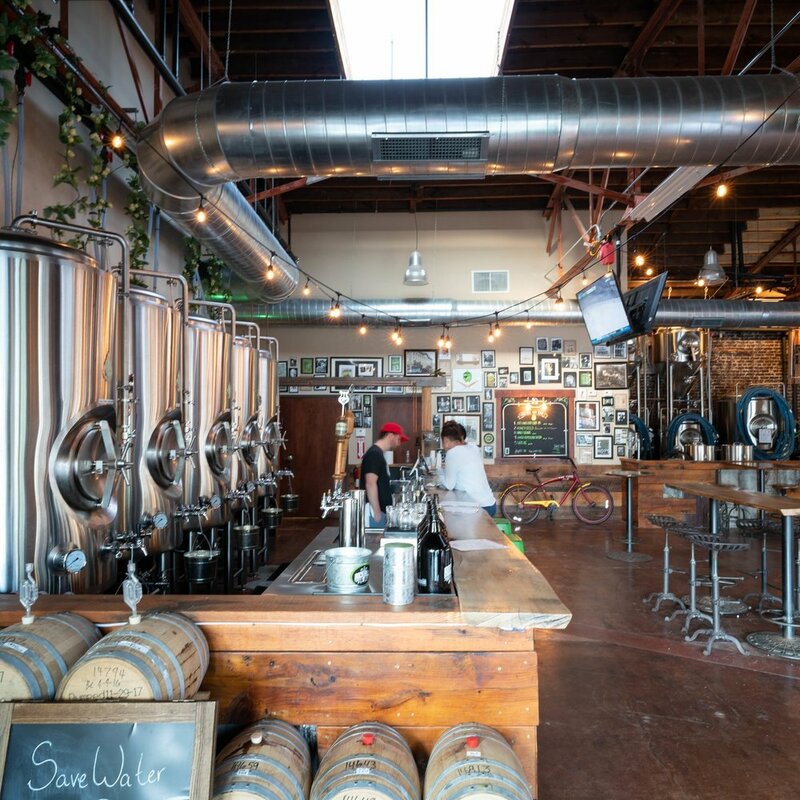 Their beautiful taproom is a mix of industrial and reclaimed wood. This is a family-focused gathering space that allows kids and dogs, so bring everybody when you make this stop along the trail. Step into the courtroom -oops, we mean brewpub – to seek beer justice. With over 11,000 square feet of interior, Legal Remedy’s craft brewing operation is huge. With twenty four taps flowing at all times, filled with your regular legal-themed brews and special seasonal varieties. Come for the beer, but stay for the food that pairs perfectly with each beer. Although not a brewery, Main Street Bottle Shop is a craft beer staple in York County. This cozy shop gives you the knowledge you need to discover your favorite brew from across the Southeast. Stop in and make your own six pack with the help of the friendly staff, or fill up your growler at the tap. Looking for dynamic craft beer served directly out of the tank? Then head here first. Rock Hill Brewing Company has created the perfect atmosphere to watch the process and taste the results. No brewery tours needed— their tanks are right in the taprooms. This is one trip to the farm you won’t ever forget. Windy Hill is an apple orchard in York that started brewing cider in 1996. This family-run farm packs a punch, adding the charm of the orchard to their award-winning cider. And, if you go in the fall, you can even perfectly pair a warm apple cider donut. Our newest brewery in Rock Hill, but they’ve already made a name for themselves. You’ve probably tasted a collab beer with Slow Play, but now they’re set up and brewing on their own. They transformed this warehouse into a beautiful space that is begging for you to hang out. So come sit and enjoy a new brew at Slow Play. after you’ve checked into 5 breweries on the app. Brought to you by Visit York County, South Carolina.